Three books I have enjoyed reading this month include a magical story from one of my favourite authors, a companion book to another of my favourite books, and a post-apocalyptic novel. 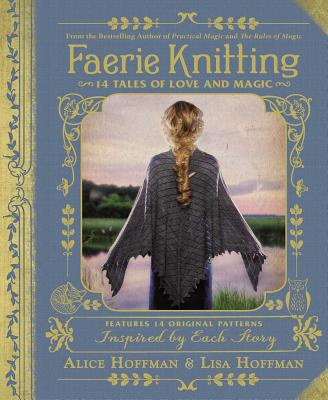 Alice Hoffman is one of my favourite authors and I have been gradually working my way through her extensive backlist. I love the magical realism genre, which Alice Hoffman writes so well for both adults and children. Nightbird is her latest novel for middle grade readers. I love the cover! Twelve-year-old Twig lives in a small town, with a mysterious brother, and a mother who bakes irresistible apple pies. Twig’s family are reclusive, distancing themselves from the rest of the town to protect a family secret. Twig dreams of one day having a friend and when a new family moves in next door, her dream becomes reality as she befriends Julia and her sister, Agate. When rumours abound throughout the town of a winged beast, accused of theft and vandalism, Twig and her new friends set out to solve the mystery surrounding the myth before the townsfolk hunt the beast down. But first they need to break the witch’s curse that keeps Twig’s brother a prisoner in his own home. Nightbird is a story filled with magic, mystery, a touch of romance, and those delicious pink apple pies. There is even a recipe at the end of the book so you can make your own. I have tried it and it is very good! One of my favourite books I read last year was The Unlikely Pilgrimage of Harold Fry, which is an endearing and entertaining story about a man who recieves a letter from Queenie Hennessy, an old friend whom he hasn’t seen for many years, explaining that she is dying of cancer. On a whim, he sets out on a pilgrimage to walk the length of England to reach her before she dies. The Love Song of Miss Queenie Hennessy is told from Queenie’s point of view. As she lies in the hospice, waiting for Harold Fry to arrive, she decides to write a second letter revealing her true feelings for him and telling the truth about the events that led up to her sudden departure from his life all those years ago. As Queenie tries to hold on until Harold arrives, she forms some unlikely friendships as the staff and patients in the hospice follow Harold’s progress through postcards he sends along the way. In this book we learn a lot more about Harold’s past, and the mystery surrounding his son. As Rachel Joyce says, this is not a sequel to The Unlikely Pilgrimage of Harold Fry, nor a prequel, but a companion. It is a story of unfulfilled love, atoning for one’s past, and making peace with the present, and although it is set in a hospice, it is not at all depressing. The Sky so Heavy is a post-apocalyptic novel set in Australia. After nuclear missiles are detonated on the other side of the world, entire cities are wiped out and a nuclear winter descends upon the earth. With their father missing, and their mother in the city, seventeen-year-old Fin and his younger brother Max are left at home to fend for themselves. With no power, bitterly cold temperatures, and dwindling food supplies, their lives become a daily struggle to survive. When their neighbours start getting sick from radiation poisoning and society collapses around them, with no relief in sight, they decide to leave their home in the suburbs and head for the city in search of their mother. Along with two friends, they make the perilous journey, unaware of what they will find when they get there. I found this story very plausible, thought-provoking, and unnerving. It made me wonder how I would survive after a nuclear war, or if I would even want to when every day becomes a battle for survival. The story is a real page-turner, but it is not only a story of survival, but a story about the unbreakable bonds of family, and the importance of friendship. This entry was posted in Books, Favourite Books, My Blog and tagged book reviews, books, fiction. Bookmark the permalink. The first one sounds really interesting! I think I’d like to read it. I think you would enjoy it! YA post-apocalypse is one of my favourite genres, too. This is the first novel I have read by Claire Zorn, and I will definitely be keeping a lookout for anything else written by her.